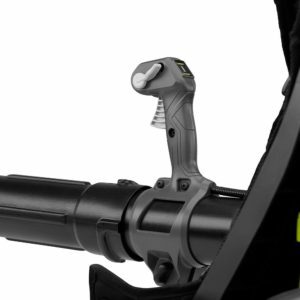 As battery powered outdoor tools are becoming more and more powerful and popular, Ryobi has been no stranger to both gas and battery powered outdoor tools for quite some time. 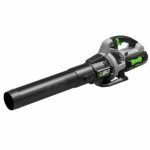 They continue to expand their 40v cordless outdoor tool line with the RY40440 40v Brushless Backpack Blower. My thoughts: Ryobi already has a solid lineup of outdoor tools powered by their 40v lithium ion batteries. 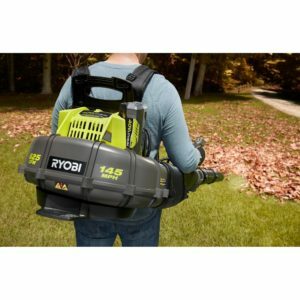 While they already have a couple of 40v handheld blower options available, this new model is Ryobi’s first cordless battery powered backpack model. 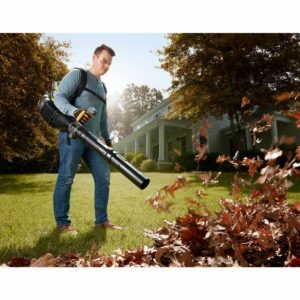 Backpack blowers offer more power than most handheld blowers and also are better suited for large clearing jobs and extended use since they take the weight and strain of the blower and put it all on your back. 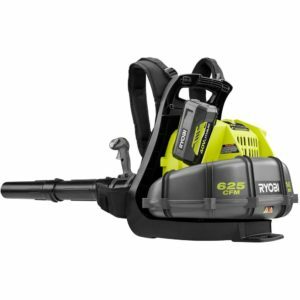 This Ryobi blower features 2 battery slots for using 1 or 2 batteries for extended runtime, 145 MPH air speed and 625 CFM air volume, a brushless motor, and a traditional throttle trigger and cruise control lever. 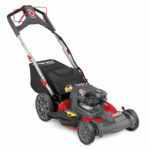 This blower has some impressive specs and features that should make it a very viable option for people with larger properties, and even someone who does lawn care. 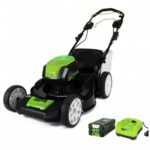 Another thing to mention is although Ryobi doesn’t specify runtime in the Home Depot product description, they have answered people’s questions on runtime and according to Ryobi you can expect roughly 15 minutes on one 5ah battery on turbo mode, and 30 minutes on high with a 5ah battery. Runtime will obviously double when using (2) 5ah batteries. Those are some very good specs for a cordless backpack blower! 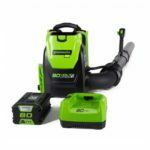 Ryobi’s specs for this backpack blower are great but Ego is one of those brands that’s just hard to beat in terms of performance, battery charge times as they have some of the best charge times for high voltage batteries on the market and usually at a very good price. I have their rapid charger and it charges the 7.5ah 56V battery in just 60 minutes! Ryobi needs to make one of these with 2 18V batteries. https://www.thingiverse.com/thing:3399968 Not as good as factory made but an adapter like this might work. Maybe I’m mistaken but I think Ryobi now has a 9aH battery. Two of those would make for impressive run time. The 9ah batteries are for the 18 volt Ryobi batteries. 5ah is the current top for Ryobi in the 40 volt. yes that’s correct. but with current cell tech they could get up to at least 6.0ah with 18650 cells and if they can fit them they could do an 8.0ah with 21700 cells.